Dying Easter eggs is an Easter tradition for many families and if you are looking to make your Easters a little more "green" you could try making your own natural Easter egg dye. Simply by using different fruits, vegetables and spices you can create a wide assortment of colors for dying your Easter eggs. 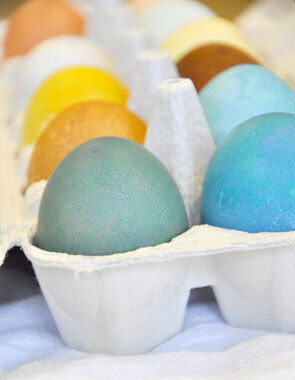 Click here to visit Rodale's Organic Life to go green this Easter with your Easter egg dye.